HEALTH: 15 Habits That Damage Your Kidneys - Something New Everyday! It's hard to notice when we do our kidneys damage. 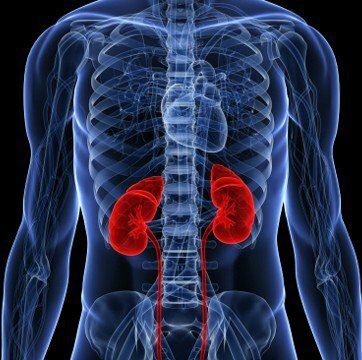 Even if 80% damaged, kidneys can still do their job, and so we rarely realize they're on their last leg. Often, even common daily habits can cause your kidneys continual damage, and when you finally discover something's wrong, it's too late. Our kidneys are incredible organs that work very hard. By themselves, they absorb minerals and nutrients, produce hormones, act as a filter for toxins in our blood, produce our urine and maintain a normal acid to alkaline ratio. We cannot live without our kidneys functioning properly. The Chinese, for example, have looked at the kidneys as a site of essential life force for centuries. A study conducted on employees working at Osaka University in Japan found that drinking 2 or more soda drinks a day (either diet or regular) may well be connected to a higher risk of kidney disease. The study included 12,000 people, and those who drank larger quantities of soda were found to have protein in their urine, which is one of the first signs of kidney damage. However, early detection can reverse the disease with proper treatment. The healthy function of our kidneys also depends on a healthy diet, especially one that contains certain nutrients. According to a study performed at the University of Maryland, a vitamin B6 deficiency increases the risk of the formation of kidney stones. 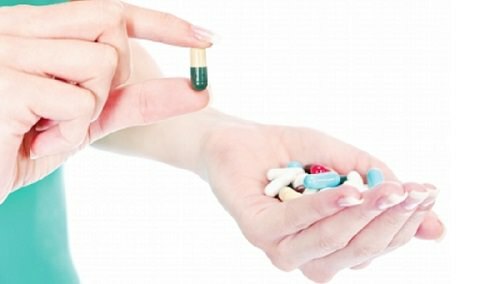 For healthy kidney function, a person should have at least 1.3 milligrams of vitamin B6 in their food every day. The best sources for this vitamin are fish, beef liver, potatoes, starchy vegetables, chickpeas and non-citrus fruits. Perhaps not surprisingly, smoking has been linked to arthrosclerosis - the narrowing and hardening of blood vessels - which influences the blood supply going to all the major organs, including the kidneys. According to a study published in Clinical Pharmacology and Therapeutics, just 2 cigarettes a day are enough to double the number of endothelial cells (the cells that line our blood vessel walls) present in your bloodstream. This is a sign of arterial damage. In addition, the Journal of the American Society of Nephrology references a number of different studies conducted in the last decade that link smoking to decreased kidney function. Another good way of protecting your kidneys is to get some exercise. A comprehensive study published in 2013 in the Journal of the American Society of Nephrology found that postmenopausal women who exercised had 31% (!) less risk of developing kidney stones. Magnesium is what helps our body to properly absorb and assimilate calcium. If we don't get enough magnesium, we get overloaded in calcium and, once again, develop kidney stones. To prevent this from happening, add some leafy vegetables, seeds, nuts or beans to your diet. Another good source of magnesium is fresh avocados. I just love a good night's sleep and, as it turns out, so do my kidneys. According to Science Daily, a chronic disruption in our sleep can cause kidney disease. According to Dr. Michael Sole, Cardiologist and Professor of Medicine and Physiology at the University of Toronto, kidney tissues get renewed during the night while we're sleeping, so when we can't sleep without constant interruptions, the kidneys suffer direct damage. One of the most important things for our kidneys is for them to get hydrated enough to perform their functions. If we don't get enough water in our system, toxins start accumulating in our blood because there isn't enough fluid to take them through the kidneys. The National Kidney Foundation recommends drinking at least 10-12 glasses of water every day. An easy way to check if you're drinking enough is to make sure your urine is a light color or clear. If it's dark, you're not drinking enough. You can check the color of your urine with this helpful guide. When you hear the call to pee, you should listen to it. Obviously we're not always at a place where we can pee right away, but if you 'hold it in' on a regular basis, it will increase the pressure of urine on your kidneys, which can lead to renal failure or incontinence. Salt is an important nutrient, but a disaster when taken in excessive amounts. Over-consumption of sodium will raise your blood pressure and put a lot of strain on your kidneys. We recommend limiting yourselves to no more than 5.8 grams (0.2 ounces) of salt per day. So put down that salt shaker! We usually drink more caffeine than we think we do. There's coffee, tea, soft drinks and sodas - before you know it, your body is full of caffeine every day, which causes your blood pressure to shoot through the roof and your kidneys to suffer damage. If you suffer from high blood pressure and/or type 2 diabetes, two very common conditions these days, you will probably also suffer kidney damage. Don't leave these conditions untreated and take your daily meds to reduce your blood pressure and control your insulin levels. Without them, you're almost guaranteed to suffer kidney damage. According to a study conducted at Harvard University, an overdose of protein in our diet can cause our kidneys damage. When we digest protein, our body produces a byproduct - ammonia. Ammonia is a toxin that your already-hardworking kidneys need to neutralize. This means that the more protein we consume, the harder we work our kidneys, which can eventually lead to kidney failure. We all get lazy sometimes and ignore a simple cold or a flu, which can push our body to the brink of exhaustion. 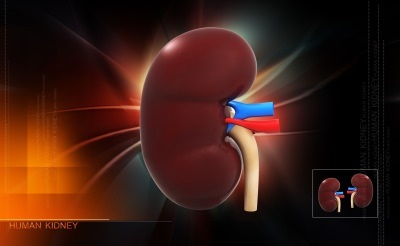 Studies have shown, however, that people who do not rest or treat their infections often end up with kidney disease.